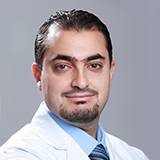 Dr. Hassan obtained Doctor of Medicine in 2004 from Beirut Arab University, Beirut - Lebanon and underwent his General Surgeon Residency Program from 2005 – 2010 from the same institution. In 2010 Dr. Hassan joined SAAD Specialist Hospital, Khobar – Saudi Arabia as a Specialist - General Surgery wherein he acquired significant exposure in conducting various general, laparoscopic and bariatric surgeries during tenure with the organization. Dr. Hassan is Certified as a Senior Specialist of General Surgery – Saudi Commission of Health Specialties and is a Member of the both the Lebanese Order of Physicians and Lebanese Society of General Surgeons. He also has a number of research and publications to his credit. He keeps himself updated in his chosen field by attending conferences and workshops both local and international. He converses with his patients in English and Arabic. languages known :English and Arabic.